Executives at major carriers have been reminded during recent private meetings with officials that to continue to operate on routes across the continent – for instance, from Milan to Paris – they must have a significant base on EU territory and that a majority of their capital shares must be EU-owned. The development, coming days before the triggering of article 50, potentially makes it more likely that the carriers will act to restructure, with economic consequences for the UK, including a loss of jobs. The tough line from the EU may encourage the UK to reciprocate with its own nationality rules, which would leave EU-owned airlines facing equally difficult choices, potentially dampening their investment in the UK in the short term, although some may seek in time to establish their own British subsidiaries. The ability of companies such as easyJet to operate on routes across the EU has been a major part of their business models, and there may be a renewed willingness among airlines to invest outside the UK to maintain market share. Some airlines have already started to seek alternative headquarters, and to examine how they might ensure that their shareholding is majority-EU owned, possibly through the forced disinvesting of British shareholders. But others have appeared, until now, to hold out hope that the European commission would be flexible on the rules in the current aviation agreement. EU officials in the meetings were clear, however, about the rigidity of the rules, amid concerns at a senior EU level that too many in the aviation industry are in denial about the consequences of the UK’s decision to leave the bloc. 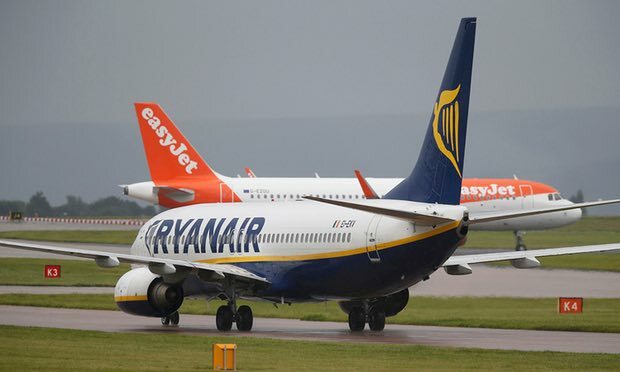 Representatives from easyJet, along with the British Airways owner IAG, Ryanair and the Tui Group, whose portfolio of airlines includes Thomson, met the EU’s Brexit taskforce last week. That followed a meeting the previous week between the taskforce and executives from Air France-KLM, Finnair, Lufthansa and SAS, as part of the EU’s efforts to engage with stakeholders. Thomas van der Wijngaart, an aviation expert at the legal firm Clyde & Co, told the Guardian there could be significant economic consequences for the UK with airlines changing their financial and operating structures, and building a stronger presence on the continent.